That is, according to Ancestry.com I am. So I’m probably not. Being related to President Van Buren is a different matter entirely. When I was six it was difficult to decipher family trees so I’m sure I missed out on some pretty useful information. My interest in learning more did not happen until a couple of years ago when I toured a cemetery in Lockport, NY with my father. While there he bumped into a large Van Buren plot and found his great grandfather, Charles Frederick Van Buren. Not only that, he suddenly recalled being at his funeral in 1962. We took a few photos and I uploaded them to my father’s Ancestry account. Coincidentally, my father did not know Charles’ middle name was Frederick, or that Charles also had a grandfather named Charles Frederick, even though my name is Frederick Charles. That’s spooky. The earlier Charles Frederick Van Buren is as far back as we could take it without doing any sleuthing. John Martin Van Buren, second son of Martin Van Buren. The year of death listed above is incorrect. But something didn’t add up. Martin Van Buren did have a son named John and he was quite a character. He was Attorney General of New York for a time and a gifted, well-traveled orator. In fact, he died at sea on a boat coming back from Scotland. If one account is to be believed, a storm that took up soon after his passing scared crew members who thought the corpse was cursed, and they nearly threw it overboard. If there are lessons to be learned here, it is never to trust what people suggest at Ancestry, Wikipedia, or the card table at the LeRay Hotel. I spent an inordinate amount of time thinking about John Van Buren’s mysterious second wife Elizabeth “Eliza” Shufelt–only found on Ancestry–and if she was the same Elena from Wikipedia story. It would explain a lot, like how the Times missed all the other kids he had besides that one legitimate daughter from Miss Vanderpoel. (Miss Vanderpoel’s first name was also Elizabeth.) It would also make Charles F Van Buren one heck of a poker chip. You can almost envision a smoky room where 19th century men go all in with their remaining pouches of silver coins, pocket watches, and the deeds to their homestead, before tossing a mistress and a baby on the pile. Questions remained. How did Eliza Shufelt give birth to Charles when she was the tender age of nine? 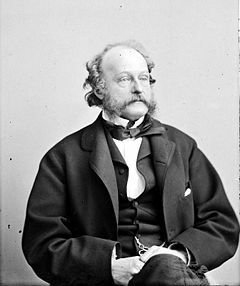 Also, how did her secret lover John Van Buren live well into the 1870s when he died on a boat in 1866? Was it a Carnival Cruise? For anyone who researches genealogies this probably happens often, but it was a first time for me. 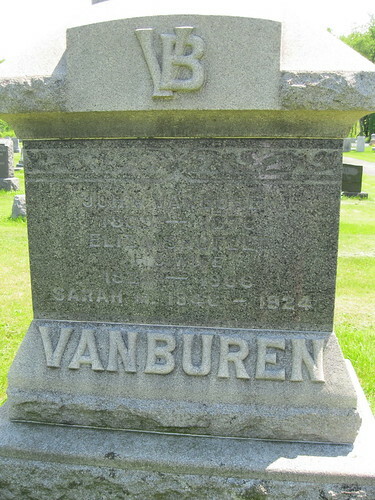 However, I found this and other photos after a bit of Googling: a family plot for John Van Buren, married to Eliza Shufelt, dying in 1876, with a totally different set of kids, none of them named Charles. What I discovered was that in the year 1810, in a community of less than 10,000 people, two people named John Van Buren were born. Both stayed in the area and married women named Elizabeth. They died ten years apart and are both interred in the same cemetery. I’m somehow reminded of the first minute of this sketch. Their poor mailman! Finally, neither appear men directly related to me. While President Van Buren traces his lineage back to a Dutch immigrant who came to America in 1631, Charles F Van Buren was apparently born in Prussia exactly two hundred years later. This is only based on one day of pseudo-research, but my guess is that “Van Buren” is a corruption of something like “Vonbieren” and that my ancestors were from what is now western Germany. 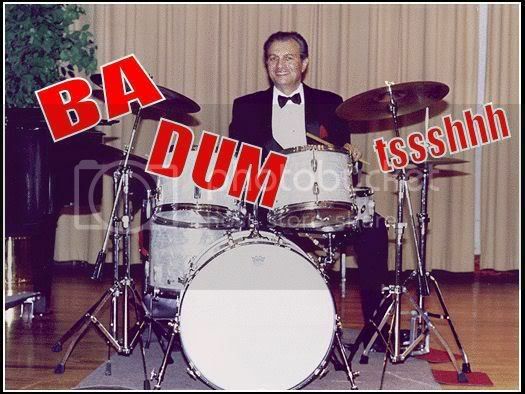 I think it is plausible my ancestors never spoke a word of Dutch unless it was Pennsylvania Dutch. That will require me to ask some questions and start digging, but that is for a future post. This entry was posted on May 1, 2013 by Fred Schrock. It was filed under Uncategorized . I think I’m related to Hannah hoes…. My name is Eugene Thomas Van Buren and I was told I was related Martin Van Buren. My grandfather was Eugene Benjamin Van Buren from Albany NY.So I am trying to link it back. but only can go so far back. ????? Interesting. My grandmother always said I was a great-great-so-many-greats-grandchild of Martin Van Buren, and certainly Van Buren is a family name. But I’ve never figured out how to prove it one way or another. 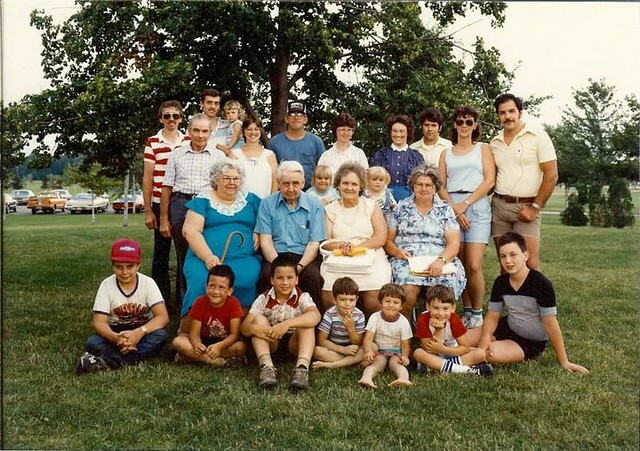 The elders of my family always said we were related to Martin Van Buren somehow, but the knowledge of our connection was lost with the passing of the last of my parent’s generation. I wish I knew then what I would like to know now! I’ve spent years trying to find our linkage without success. My brother was named after him and he now needs to know, but is frustrated by . Just tonight I found the first hint that there may be a connection to the family of my Gx6 grandmother Berzillah Coddington, sometimes called Zillah (b. Woodbridge, NJ, d. 6/13/1794 Danby, VT). She was married to Enoch Conger (b. c. 1730 Rahway, NJ, d. 2/19/1777 Danby, VT). Joseph do you have any parentage info on Berzillah Coddington? Some of my ancestors were Coddingtons in Woodbridge, NJ. I found another trove of Coddington information for you to sift through. Enoch died 1777 in Danby, Rutland County, Vermont. He married Berzillah Coddington in Rahway, NJ, about 1750. Enoch’s will was probated in Rahway, NJ, 1758. He resided in Nine Partners, Town of Northeast, Dutchess County, New York after 1765. He bought property in Danby, Vermont, March 23, 1771. Enoch registered a brand in Danby, Vermont, May 20, 1772. He made a will in Danby, Rutland County, Vermont, Feb. 19, 1777.  249 i. Job7 Conger 1(12)21 was born in Rahway, NJ 1751. (154) Job died Nov. 8, 1827 in Vermont?. He married Robah Potter in Rahway, NJ?, about 1772. Job served in the military in Vermont, about 1776. (155) He resided in Danby, Rutland County, Vermont 1780. Job was listed as the head of a family on the 1790 Census in Danby, Rutland County, Vermont. Job was listed as the head of a family on the 1810 Census in St. Albans Twp., Franklin Co., VT. Job was listed as the head of a family on the 1820 Census in Danby, Rutland County, Vermont.  250 ii. Enoch Conger 1(12)22 was born in Rahway, NJ about 1753. Enoch died Dec. 5, 1826. He married Ruth Irish in Rahway, NJ?, about 1775. Enoch was listed as the head of a family on the 1790 Census in Danby, Rutland County, Vermont. Enoch was listed as the head of a family on the 1810 Census in Danby, Rutland County, Vermont. Enoch was listed as the head of a family on the 1820 Census in Danby, Rutland County, Vermont.  251 iii. Samuel Conger 1(12)23 was born in Rahway, NJ about 1755. He married Mary 1778. A census listed Samuel as head of household in Newark, Essex Co., NJ, 1778. (156) A census listed Samuel as head of household in Essex Co., Newark Twp., NJ, 1781. A census listed Samuel as head of household in New Jersey, 1793.  + 150 iv. Asher Conger 1(12)24 was born May 25, 1761.  252 v. Jonas Conger 1(12)25 was born in Rahway, NJ about 1762. Jonas died 1791.  253 vi. Benjamin Conger 1(12)26 was born in Rahway, NJ about 1764. Benjamin died 1822. He married Millie about 1785. Benjamin was listed as the head of a family on the 1820 Census in Tunbridge Twp., Orange Co., VT.
 254 vii. John Conger 1(12)27 was born in Rahway, NJ Mar. 28, 1766. John died Mar. 3, 1813 at 46 years of age. He married Patience Tifts about 1788. John was listed as the head of a family on the 1790 Census in Danby, Rutland County, Vermont.  255 viii. Gershom Conger 1(12)28 was born in Rahway, NJ 1767. He married Frances Ballard about 1788. He reported for active duty in Vermont, about 1780. Gershom was listed as the head of a family on the 1790 Census in Danby, Rutland County, Vermont.  256 ix. Moses Conger 1(12)29 was born in Rahway, NJ 1770. He married Catherine Chatsey about 1791. Moses was listed as the head of a family on the 1820 Census in Charlotte Twp., Chittenden Co., VT.
257 x. Coddington Conger 1(12)2(10) was born in Rahway, NJ 1775. The Coddingtons were among the early settlers of Massachusetts . Mr. William Coddington, afterwards governor of Rhode Island , was from Boston , England , and of gentle birth as shown by the records. While in England he refused to contribute to the Royal Loan, March 9, 1626 , (New England Register, vol. XXXVI, p. 128); was one of the assistants of the Massachusetts Bay Company in England , March 18, 1629-30, and soon afterward came to this country. He was a member of the Boston Church , in 1630, and was admitted freeman, May 25, 1636 . He was elected to various town offices and served as assistant of the colony. In 1638 he favored Mrs. Hutchinson at the time of the religious schism and was banished by the Puritan authorities on account of his religious beliefs, removed to Newport , Rhode Island , and became a distinguished citizen and governor of the colony. He sold his lands at Boston and Braintree in 1639. His first wife died in July, 1630, at Boston , New England . His second wife mary was admitted to the church in 1633, and she had children: 1. Mary, baptized March 2, 1634 , and 2. Bedaiah, baptized May 1, 1636 . There is little doubt that William Coddington was related to those mentioned below. (I) Stockdale Coddington settled in Roxbury, adjoining Boston , before 1643, when he and his wife received from Elizabeth Hobbert a legacy. His wife Hannah, “an ancient women” (doubtless meaning about eighty years), was buried July 20, 1644 , in Roxbury. Stockdale Coddington bought land at Hampton , New Hampshire , in 1648 and removed thither, but died in 1650. His son, John Coddington, of Boston , was appointed administrator and sold the Hampton land, April 15, 1650 . (II) John, son of Stockdale Coddington, was born before 1630, probably in England , died at Boston , June-August, 1655. He lived in Boston and married Emma ———–, who after his death was married (by Major Humphrey Atherton, magistrate) to her second husband, John Jepshon ( Jefferson ), and had by him a son, John Jefferson, who married Ruth Gardner. The name Coddington is variously spelled Coddington, Cordington, Cuddington, and even Carrington. Children: 1. Sarah born October 4 or March 29, 1651 , died August 9 or September 8, 1656 . 2. John, mentioned below. 3. Henry, probably born before 1651, and was living in Boston in 1670.
ever. He was in Woodbridge as early as 1692, when he was elected constable. His wife Mary joined the Presbyterian Church at Woodbridge , October 3, 1710 , or, according to another account, in 1707-08. His will has not been found. He was a soldier in King Philip’s War and was paid for garrison duty at Groton in 1673. He married (first) Hannah, daughter of Richard Gardner. Richard Gardner settled in Woburn , and after 1661 removed to Charleston , Massachusetts ; married Anna Blanchard, of Acton, widow of Thomas Blanchard, of Malden . His will, dated march 15, 1697, mentioned his children, among whom were Hannah, wife of john Coddington. Hannah ( Gardner ) Coddington died September 20, 1690 . He married (second) May 1, 1691, Mary White. Children: 1. John, born, November 8, 1677 . 2. Benjamin, mentioned below. 3. Hannah, May 27, 1683 . 4. Sarah, March 28, 1687 . 5. Joseph, March 22, 1689 ; there were probably other children, also. (IV)Benjamin, son of John Coddington, was born October 8, 1680 , died April 18, 1753 . He probably married twice. He was buried in the Presbyterian cemetery at Woodbridge , where in 1892 the following inscription was copied from his tombstone: “Here lyes ye Body of Ben Jamin Codington, Aged 73 years, Dec’d. April ye 18 th 1753,: besides this stone is another with this inscription: “John, son of Benjamin and Mary Codington, Dec’d. July ye 20 th 1733, Aged 14 years 4 mos & 20 Ds.” Near these is till another with the following inscription: “* * * * lyeth Ye ——- of Isaac _odington, who departed this life May the 31 st 1720”. Benjamin Coddington married Mary ——–. Children: 1. Anna, born May 6, 1705 , probably died young. 2. Margaret, May 7, 1706 . 3. Sarah, married William Oliver. 4. Mary, married Pangburn. 5. Martha, married Jonathan Frazee. 6. Elizabeth , married Solomon Bycount. 7. Lydia , married Job Conger Jr. 8. Zillah, married Enoch conger. 9. Rebecca. 10. Mary. 11. Elizabeth , probably died young. 12. Benjamin. 13. Thomas, born November 27, 1712 . 14. Isaac. 15. John, died July 20, 1733 , aged fourteen. 16. Ashur. 17. 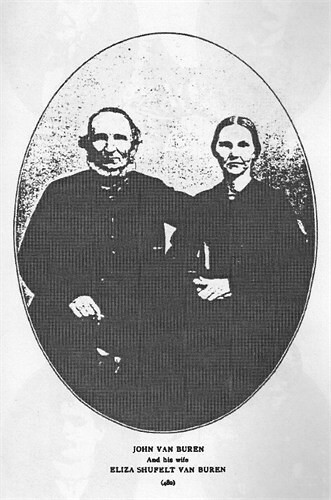 Reuben, married Sarah ——–. 18. Sabra. 19. John (?). 20. Uzziah, born 1739. 21. Jotham, mentioned below. These children were all legatees in his will dated May 6, 1750 , recorded May 24, 1753 , proved May 19, 1753 . The last six children were not of age when the will was made; the land was to be sold after six years, and divided among the children, according to the will. (V) Jotham, son of Benjamin Coddington, was born at Woodbridge , New Jersey , August 7, 1743 , died there August 12, 1820 , being buried in the Presbyterian Cemetery . He was a farmer and brick-maker. His will was dated July 23, 1805 , and recorded at surrogate’s office, New Brunswick , New Jersey , his sons David and Millard being executors, they receiving one-half each of the dwelling house, besides seven acres of land. To his wife he bequeathed household furniture, providing that his sons were to pay her $25 each, every year. He married, December 16, 174 , Mary Millard, born February 23, 1740 , died December 26, 1824 . Children: 1. Sabra, born September 6, 1765 . 2. David, august 25, 1767. 3. Ann or Nancy , December 9, 1769 . 4. Lydia , June 3, 1773 . 5. Millard, mentioned below. (VI) Millard, son of Jotham Coddington, was born in 1779, died in Rockland County , New York , April 6, 1862 . He was a farmer, and in early years was a carman and carpenter in New York City . He married, March 28, 1801, Phoebe Cook, born November 27, 1778, died February 8, 1825, daughter of John Cook, born January 28, 1872, and his wife, Mabel (Johnson) Cook, who died February 25, 1817, aged fifty-nine years; whey were of Hanover, Morris County, New Jersey. Children: 1. Margaret, born January 15, 1802 . 2. David Cook, mentioned below. 3. Daughter, April 2, 1806 , died in infancy. 4. Mary, December 25, 1807 . 5. Sarah Ann, September 14, 1809 . 6. William, September 16, 1811 ; went to California in 1849 and made a fortune, was for a time a partner with John W. Mackey, the capitalist. 7. John Wells, November 11, 1813 , died in infancy of smallpox. 8. Charles Millard, January 24, 1816 , died in infancy of smallpox. 9. Lydia , April 17, 1818 . 10. Eliza Halsey, august 1, 1820.
the church; for a number of years he was president of the board of trustee of the church, and at one time he was a trustee of the village. The pulpit Bible in the Highland Avenue Methodist Episcopal Church at Ossining , New York , is a memorial of him. He was born on Chambers Street , New York City , near the corner of chapel, now West Broadway, and in early life he was a hatter, later keeping a market in Sing Sing. He married, March 4, 1825, Hannah, born January 19, 1807, died April 9, 1880, daughter of John and Mary (Gilchrist) Perry, of Rockland, New York. Children: 1. John Millard, born august 17, 1826, at Sing Sing; married (first) February 29, 1848, Fanny Raymond Rickers, (second) Mrs. Elizabeth Black; had by first wife, henry Atwood and Fannie Raymond. 2. William henry, born March 23, 1828, died June 3, 1903, at Berkeley, California; lived in San Francisco and Alameda, California; married (first) Hannah Matilda Kinsman, who died April 2, 1875, aged thirty-five years, (second) February 8, 1876, Mrs. Sophia Johnson (Fernall) Crosby; had by first wife: i. William Edward, ii. Charles Frederick, iii. Frank Perry, iv. Arthur David, v. Lida, vi. Ella. 3. Mary Ann, born November 22, 1829 , lived in Sing Sing; married John Yates Johnson, September 17, 1854 , and had child: Charles Willis Johnson. 4. David Cook, born February 16, 1832 ; married Kate L. McMillan, who died April 26, 1868 , aged thirty-two. 5. Andrew Harris, born January 25, 1834 , in Sing Sing; married (first) Violetta Girard Van Velsor, (second) June 14, 1888, Mrs. Isabelle (Darrien) Hallenbeck: children by first wife: i. William Henry, ii. Emery, iii. Violetta, iv. Andrew Harris, v. Iona Estelle. 6. Hannah Maria, born September 20, 1835 ; married William Groves Johnson, May 19, 1853 ; children: i. David Perry, ii. Jennie Louise, iii. John Millard. 7. Charles Pitman, born July 7, 1838 , at Sing Sing,; married (first) mary E. Cathcart, died September 15, 1878 , aged thirty-three, (second) November 26, 1879, Laura Hill; Children by first wife: i. William Pitman, ii. boy, died in infancy, iii. Adopted daughter, Mary Elizabeth; children of second wife: iv. Hannah Grace, v. Charles Ernest. 8. Wesley (or Wellesley) Perry, born October 23, 1840, has been for twenty years a professor in Syracuse University; he has written a complete history of the Coddington family; married Louisa, daughter of Louis Guibord; children: i. Herbert Guibord, ii. Gertrude Louisa, iii. Winifred, and iv. Ethel. 9. Josephine Adelia, born October 23, 1842 ; married Edward Augustus Robinson (see Robinson III). 10. Hiram Rowell, died September 1, 1848 , aged eight months, eleven days. Hope this helps. Good luck in your research! as well as there old bibles with the Van Buren name inscribed in them. hi just like looking up information my name is Amanda van buren now Amanda strenck the van buren side lives in Richfield ny I don’t know much information about the family but just like to see id there is a relation some how. Those Van Buren family bibles are priceless family artifacts. Is there any way you could scan the family information which may be inscribed in it? Thank you. Hello, all, and thank you all for this very interesting discussion. Like many above we were always told growing up that we were directly related to President Martin Van Buren and I am working with my son now on our family tree. We found the link to Martin Van Buren via my grandmother, Elizabeth Bulson, and are currently having our DNA tested. Is there a way via DNA to confirm this 100%? Would love to connect with others and reestablish this family connection. Thanks for your help. My Conger family of Dutchess. County claimed a Van Buren affinity, but I have no details. My 3rd g-grandmother was Catherine Van Buren Pulver. Family tradition claims she was a first cousin to President Martin Van Buren. 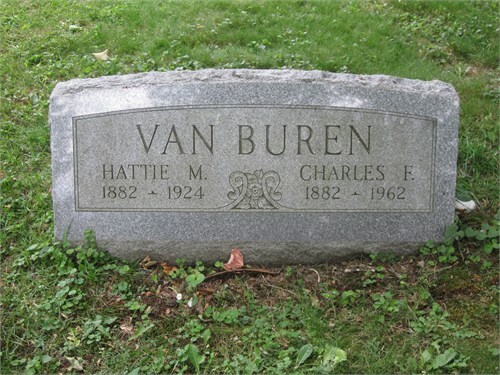 She was very proud of her Van Buren name as it appears on her tombstone. I am told that On my grandfather’s side (he’s dead) we go way back to Martin Van Buren. My grandfather had some German in him and Welsh with some French from what I know. However, tracing it all the way back seems complex. However, my grandfather has written two volumes of our ancestry of his side, and they are in the Library of Congress, we have copies as well. Looking them I guess would be a good idea.